Starting from October 2017, the SOFA Consortium will be officially incubated and hosted in the Fondation Inria, through the InriaSoft action. The mission of the action InriaSoft is to sustain, industrialize and distribute major scientific software arising from research at Inria. In this non-profit organization, the SOFA Consortium aims at gathering partners understanding they have a shared interest in improving SOFA. These partners are therefore willing to contribute to adequate staffing of the consortium through membership fees to deliver increasingly better versions of SOFA. As part of the SOFA Consortium staff, we are therefore working on on code maintenance, quality improvement, release management, community animation and one long-term development (currently the SOFA-NG project). A publication in the journal Medical Image Analysis (MedIA) has just been accepted! 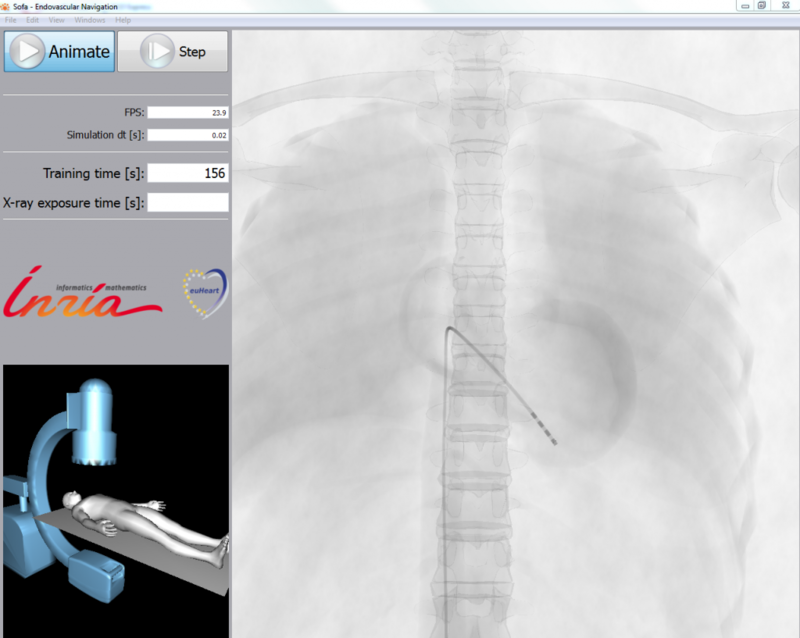 This work entitles Interactive Training System for Interventional Electrocardiology Procedures. 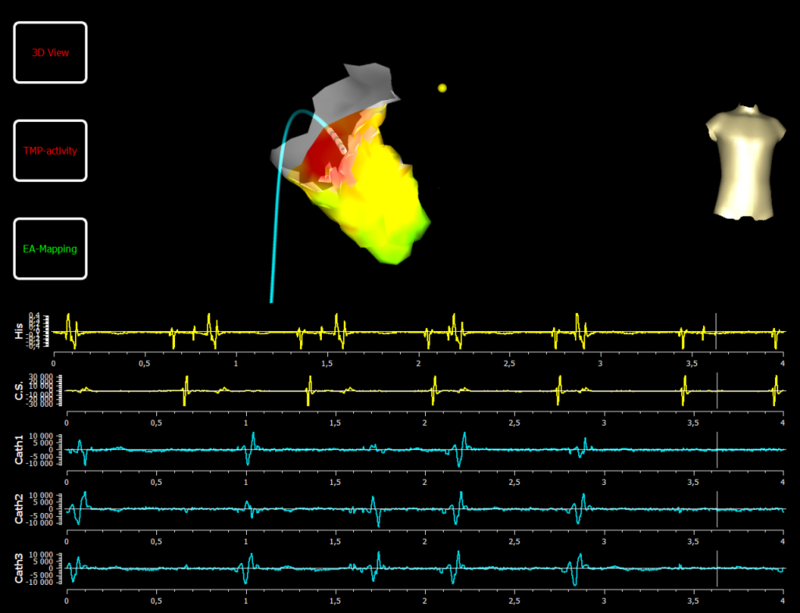 This paper presents the first training system coupling an advanced catheter navigation with a fast cardiac electrophysiology model. 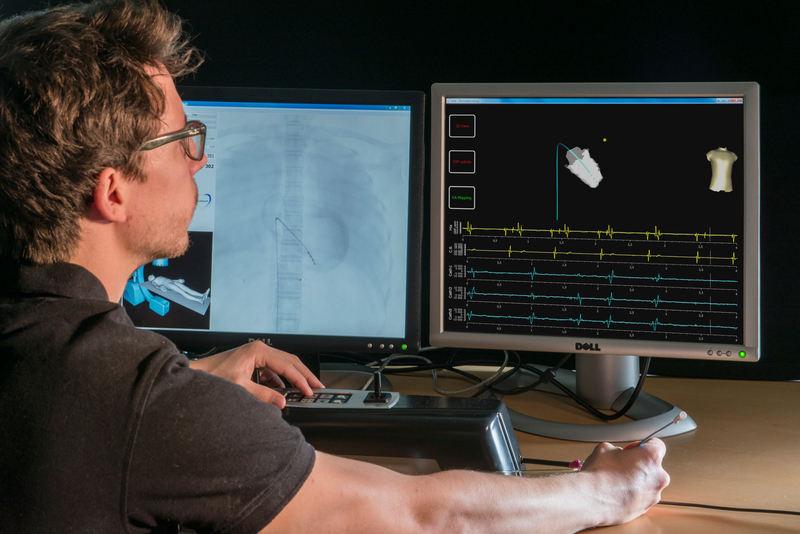 The simulation reproduces pathological cardiac activities and the procedure to treat cardiac arrhythmias. The skills required for such interventions are very challenging to learn, and are typically acquired over several years. Virtual reality simulators may reduce this burden by allowing trainees to practice such procedures without risk to patients. This works is a step towards computerized medical learning curriculum. and the hospital Haut-l’Évêque – IHU Liryc in Bordeaux. On the 22nd of June 2016, I was part of the 5th 36H Chrono meeting. I gave a talk about the medical simulation and its integration in the medical curriculum. This was also the opportunity to meet Pr. Granry, director of the simulation center of CHU Angers. 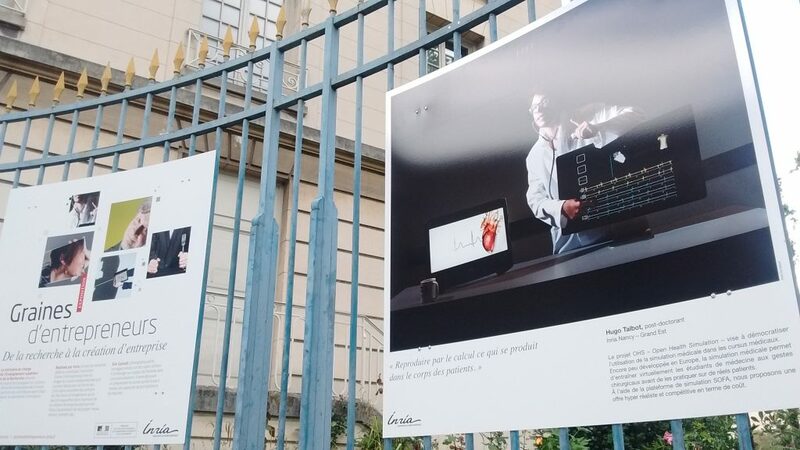 The exhibition “Graine d’Entrepreneur” is currently available on the walls of the French Ministry for Research in Paris. Discover all Inria entrepreneurs and more especially the OHS project! The exhibition is available until the 7th of July in Paris! The SOFA team is waiting for you! The NextMed-MMVR22 takes place from the 7th to the 9th of April 2016. At this occasion, we organize an independent session about SOFA. The purpose of this plenary event is to present SOFA, its applications and then propose a hands-on-SOFA session. Finally, the future objectives and directions of our platform will be revealed. Do not hesitate to contact us to know more about our session. 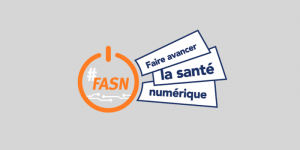 From the 23rd to the 25th of March, the French Symposium in Healthcare Simulation will take place in Clermont-Ferrand. This year, the event is jointly organized with the 2nd congress for teaching minimal invasive therapies. 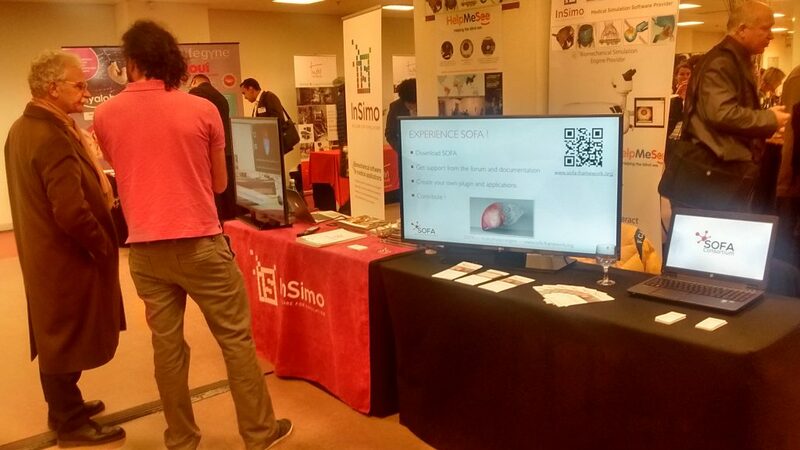 At this occasion, we will share a booth with our Consortium member InSimo. The company will present its solutions in healthcare simulation and the SOFA Consortium will highlight the SOFA framework and all its applications in both research and industry. The SOFA Consortium wishes you all a happy new year and all the best for 2016! To start well the year, a part of the SOFA team will be present at IMSH 2016. We hope to see you there! This will be the opportunity for us to present the new Consortium and all recent applications using SOFA. 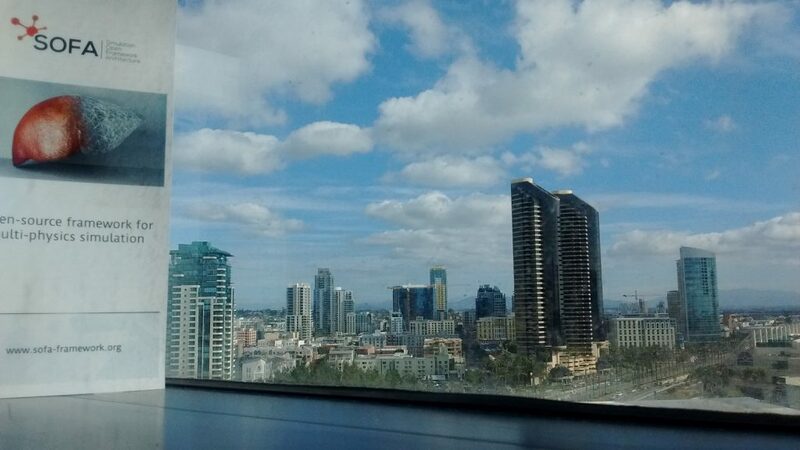 Let’s meet in San Diego! Comments Off on Creation of the SOFA Consortium! Promote any activity around SOFA. 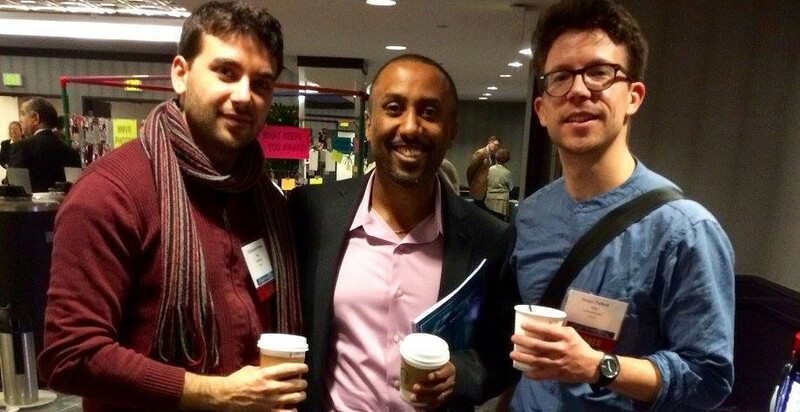 Being closer to the SOFA community is a crucial mission of this Consortium. The Consortium will now help you in using SOFA, contributing to SOFA, finding the right contact for your need and even advertise your work based on SOFA. Discover more about the Consortium here ! A consortium is starting around SOFA. The first position of software engineer in the context of this consortium is now open ! To learn more, visit the SOFA “Jobs”. 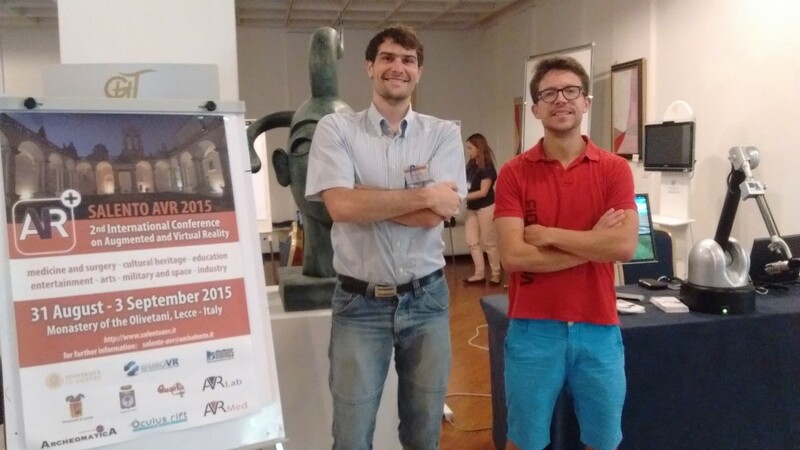 I will introduce our simulation platform SOFA on behalf of the MIMESIS team in Lecce (Italy) from 31st August to 3rd Sptember 2015. I will present the “Research, prototyping, and product development of medical simulation applications using the SOFA framework” talk on the 2nd International Conference on Augmented and Virtual Reality. I would be happy to see you there!